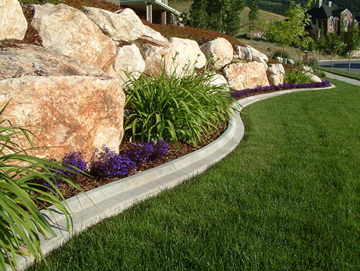 Curbing | AWC Builders Ltd.
Every property owner needs to maintain some type of edging to keep their garden and lawn separate. Until now, most property owners have used wood, plastic, brick, stone or heavy ready-made sections made of pre-cast concrete for their lawn edging and garden borders. Considerable time and effort has to be taken to prepare and lay any of these options evenly and properly. Still there are many problems with these traditional borders, such as wood rotting, plastic brittleness, irregularity and movement of brick, stone and concrete sections and discoloration. •Concrete curbs are Eye-catching and provide you with a distinctive new look and lasting beauty. 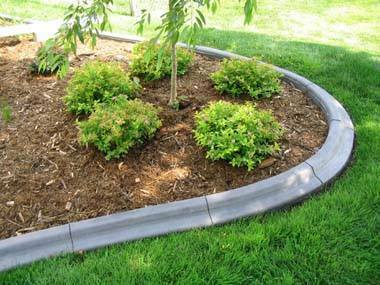 •Our concrete curbing Greatly improves your overall landscape appearance. •Landscape curbing easily accommodates circles, bends, straight lines, right angles, etc. •We provide a Fast, clean installation of your landscape edging. •You’ll save time on trimming and weeding while keeping garden neat and tidy.